Orange County's only online community radio station, giving local businesses and community groups "a voice on the Internet". The decision to sell or exit your company is not an easy one. If you’re ready or even thinking about it, this is the podcast for you! The decision to grow your business is easy. Making it happen, now that’s the challenge. Join us for lunch as we offer insights and actionable steps you can incorporate into your business. There's a growing wealth gap between the haves and have nots. Which side of the divide are you on? And how do you bridge this widening chasm to protest your own financial security and those of your loved ones? Tune in as Financial Strategist Tyrone French talks to leading financial advisers and wealth creation experts on how they ... See More are closing the wealth gap for their clients. Collective2's Top-Trader Radio is brought to you by Collective2, the world’s largest automated trade sharing marketplace. Great traders ask Collective2 to track their brokerage results in real-time. Then other investors can “subscribe” to these traders, and automatically follow their trades in their own brokerage account. Hear ... See More innovative peer-to-peer trading strategies you are not hearing elsewhere. Discover the right tool to advance your company, whether you work in a business, work on your own business or work with other businesses....from the man who's done all three. 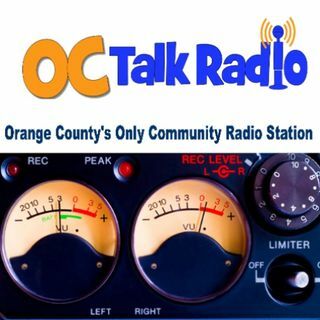 Hear samples from some of our weekly shows here on www.OCTalkRadio.net, Orange County's only community radio station. Orange County's only community radio station. Streaming...not screaming. Listen to Will Crist as he discovers how companies thrive in California. This program covers “How-to Topics” from leaders/authors in the fields of sales lead generation and sales lead management. Host, Matt Heinz will bring guests to you with tips to help you build revenue and your sales pipeline. Tag along as former CEO Business Coach explores the NEXT CHAPTER in his life...and yours. West Virginia University's WVUMCToday is the intersection of data-driven decision making and marketing practice.